According to bankers, the move is seen to lower the dependence on open market operations which have been a significant amount of the overall borrowing. “Higher OMOs can distort the rates curve,” said a banker. 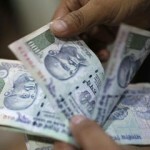 The move would boost RBI’s foreign exchange reserves which were at $401.7 billion for the week ended March 1. Market participants would be required to place their bids in terms of the premium that they were willing to pay to the RBI for the tenor of the swap. RBI said the auction cut-off would be based on the premium and the auction would be a multiple-price based auction. RBI also has raised the trade credit limit under the automatic route to $150 million for oil/gas refining and marketing, airline and shipping firms. For others, the limit is set at $50 million or equivalent per import transaction. At the same time, the revised framework has reduced the all-inclusive cost (all-in-cost) for overseas loans to benchmark rate plus 250 basis points from the earlier 350 bps.